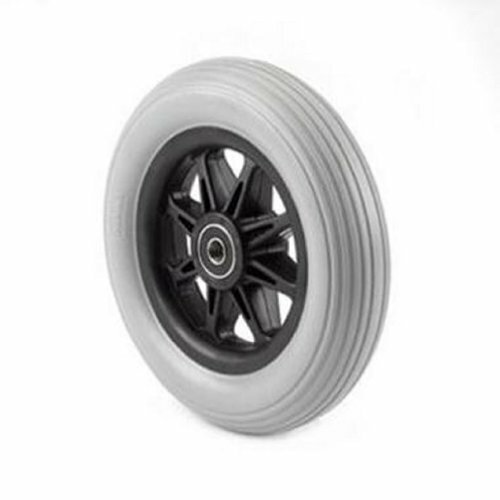 This listing is for a pair of 6" X 1", 8-spoke black, Grey Rubber Caster Tires for Powerchair Wheelchair. 5/16" bearing, 1 3/16" hub, molded-on light grey rubber tire, tire cannot be replaced, non-precision bearing. Fits Pride anti tippers 1100, 1103, 1105, 1113,1115, 1120, 1400. If you have any questions about this product by tag, contact us by completing and submitting the form below. If you are looking for a specif part number, please include it with your message.